Build the perfect app for fans of you and your sound. Share music and tour dates. Sell tickets and merch. Start conversations and communities. They like you so much, they want to keep you in their pocket! Host your albums and playlists in-app via Spotify, Apple Music, Bandcamp, or SoundCloud. Encourage your fans to share news, images, and songs directly from your app. Map out the biggest hotspots for your fanbase using geolocation filters in your app’s analytics. Sell albums, T-shirts, bags, buttons, or posters with ease by integrating your eCommerce site. Emergent Mobile keeps the process of building and launching mobile apps as simple as possible, allowing you to focus on your music and the fans who love it. More than design; it’s the experience of your brand from the moment they see your app icon. It’s what they think and feel when they navigate around your app. It’s guiding them down the features in a logical and intuitive way. UX is the complete end to end user experience of your brand. Creating breathtaking UX’s & friction free onboarding, it’s what we do. 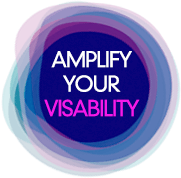 You should also check out our blog post – A Custom App For Your Band Can Amplify Your Visibility.